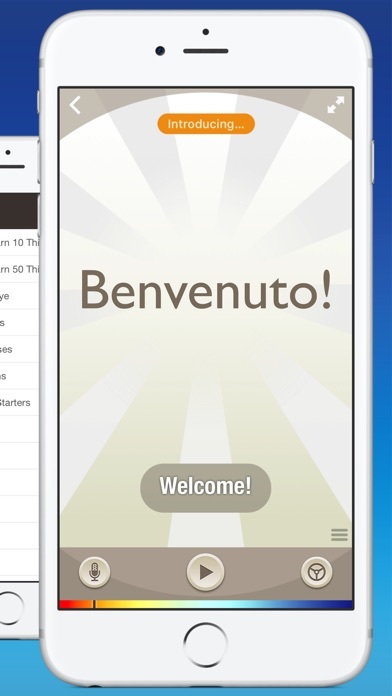 Turn your iPhone, iPad and Apple Watch into your FAVORITE teacher of Italian. 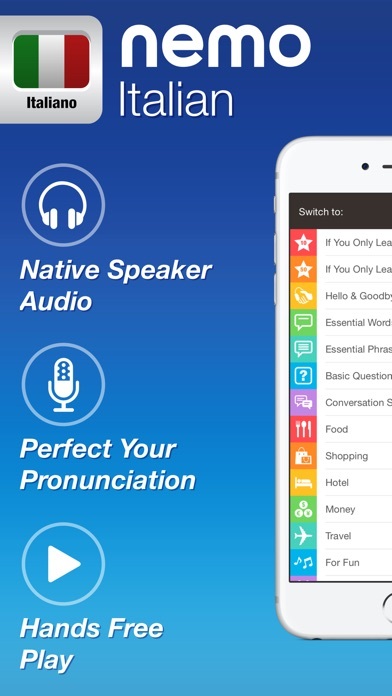 ◆ The most essential words and phrases of the language, each with native speaker audio. 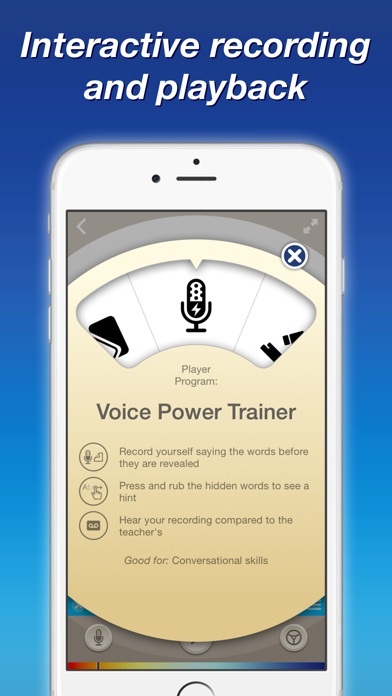 ◆ Master your accent with the Speech Studio. Simply record yourself saying a phrase and then hear your voice next to the teacher’s. You’ll be AMAZED how quickly your foreign accent melts away. ◆ All audio is downloaded to the device and accessible even in airplane mode or without expensive international roaming fees. ◆ Nemo is NOT BUILT AROUND LESSONS at all. It is meant to be picked up and put down throughout the day, whenever you have a few minutes to spare. ◆ Builds a foundation of Italian empowering you to speak CONFIDENTLY in EVERYDAY CONVERSATIONS. ◆ NO PRIOR KNOWLEDGE of Italian required. Nemo® is specially DESIGNED to tap the remarkable power of your mobile device, and your brain, to their fullest. PERSONALIZED FOR YOU Nemo is your personal trainer, tracking your PROGRESS across every single word and phrase. ◆ Practice Italian the way you'll use it. Nemo is fully customizable. ◆ Nemo immerses you in the sounds of Italian so you naturally speak with ease. ◆ Dive into WHAT YOU WANT to learn at any time. ◆ You control which words to practice – skip words you don’t want to learn or already know. ◆ Turn on Review Mode to study what you practiced earlier in the day to BOOST your memory retention. ◆ Hear English descriptions of all words, in a flashcard format. ◆ Quiz your mastery of the vocabulary. ◆ Nemo introduces words to you progressively to develop familiarity and reviews them at the right moment so they enter your LONG TERM MEMORY. TARGET THE MOST COMMON WORDS Maximize your time investment by targeting the most basic and high frequency words of the language. Upgrade to the complete version to: ◆ Get off the beaten path or find comfort with DIRECTIONS, TRAVEL and HOTEL phrases. ◆ Decode menus with the most common FOOD words. ◆ Shop and find bargains like an insider with must-know SHOPPING phrases. ◆ Learn words useful for your time in italy. ◆ Build your proficiency with the most important verbs and SENTENCE BUILDING BLOCKS in Italian. ◆ Spark new friendships with COMPLIMENTS and CONVERSATION STARTERS. Use your new skills to make friends, impress old friends, bring smiles to children, get out of jams, experience new things, speak confidently, and make your travel and cultural experience more rich and fulfilling. Download this FREE app now! I just wanted app that would teach me enough Italian to be able to have a conversation. It’s working! I’m currently learning Italian and I love it! For $12 dollars I expected more! I am loving it and learning quickly. It’s fun and easy to use. I like that I can do it in large or small chunks of time. As my day permits. I just started using the app last week and have found it to be very easy to navigate through and to follow and understand. 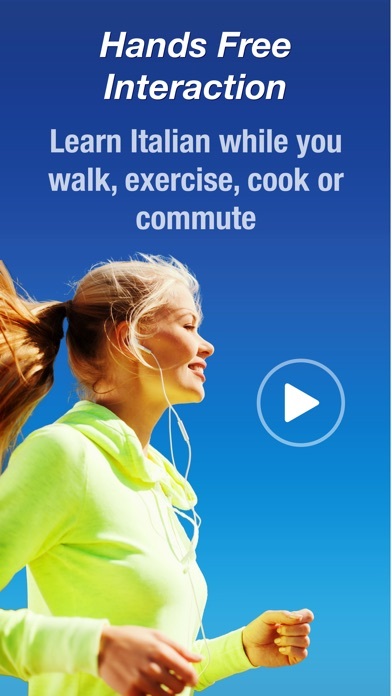 Great app for beginners like myself. I have always wanted to learn Italiano. I hope to travel there someday. Okay, so, I’ve always wanted to learn a new language. It’s one of my goals and dreams. I decided I want to begin with Italiano, and I made the best decision i possibly ever made on my phone; I decided to give this app a try. The tutor has an excellent accent and there are different modes. It’s super easy and cheap; only 11 dollars to buy a huge pack of words! By Joey bag o' cheezypoofs!! I’ve tried to learn Italian before with no success this app makes it easy and is very practical! I can do it anywhere anytime !! Highly recommend! !